The recent commotion surrounding Amazon is the Prime Wardrobe option which is making its way onto the UK market. The concept driven by Amazon involves consumers and users to allow themselves to select three or more pieces of clothing apparels. This also accounts to footwear and accessory pieces which they can decide to keep or return. This does put a different type of shopping experience altogether, with shops not going into the payment mode until the online purchases by customers are complete and testing is done. The retail service is a multi-channel process which aims in blending the convenience of online shopping with all the necessary elements of buying, starting from the base. Market research reports survey several customers and found around 30 per cent preferring store shopping as the need to feel and touch the products before buying is an important note to consider. The rest percentage of customers clearly prefer online shopping and consider them as a convenient and easier process to continue. Consequently, prime wardrobe’s functionality is taken into account making both of the customer preferences. One can try products that are available online but can even have trials before making the final move. Prime wardrobe came into the picture after a year of beta testing of the product in the United States. Japan got into the process and made a positive review of the testing. 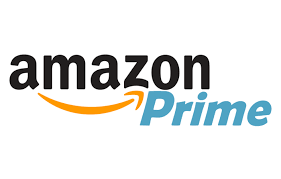 Currently, UK is the subsequent country to join the service provided by Amazon. The reviews were overwhelming and positive from a consumer point of view. People put forward instances where they are trying new dresses and shoes, just like they do on shopfronts. Ordinarily, private label clothing brands in general Amazon site perform worst as to other brands in the category. Expanding the accessibility of Prime Wardrobe puts a chance for visibility among the subsequent clothing brands. Consequently, Amazon points out that the private label brands are top selling items that are making a new trend in Prime Wardrobe function. Posted in Market Research and tagged Amazon, Amazon Prime Wardrobe, Online Shopping Market Research. ← Robots advancing into the future!